2014 led me to into newsrooms around the world to have discussions on challenges, opportunities, and collaborations. My perspective is from social tech — Embedly works with social networks, music sites, media aggregators, chat apps, and blogs. I watch closely the relationship between social media and news sites, focusing on not the sharing aspect, but what features spread between the sectors. I see what news organizations are doing, what’s working, and share what I find with others in the field. Patterns emerge. They are not entirely surprising, but they point to important shifts in news that will be furthered in 2015. The New York Times released Watching in September, a curated feed of news from around the web. It’s like a Twitter timeline or Facebook feed, but on the NYTimes.com homepage. There’s a heavy human touch rather than an algorithmic one. Regardless of how the feed is constructed, its UX is inspired by social media feeds. The idea has already caught on — I’ve met with other news orgs working on releasing similar feeds for their homepages. Because of its ability to make the homepage more living and engaging, this will become a widespread feature. Leaving it out will be an opportunity missed. There are two trends with video that I expect will grow. Over the past year, Facebook started autoplaying videos, and it was the most magnetic UX update since little red notification numbers. A video might be skipped, but once it starts, our eyes are just drawn to keep watching. It’s devious. More videos showed up in the News Feed, and producers were incentivized to upload videos to get the boost the autoplay affords. This is a significant shift for Facebook — not only is it a place to share videos, it’s a host for videos. The spread was galvanized with the viral ice bucket challenge, which played on the dynamics of Facebook tagging. Now, news sources are embedding Facebook videos into their articles. Expect Facebook to make more moves to legitimize themselves as a news source, as well as become the new Internet TV. Beyond Facebook, we may even see muted autoplay become more common because of how powerful it is to get attention. The second trend is the spread of Vines and Instagram videos on other sites. Sports, celebrity gossip, and humor are among the most popular topics covered; these videos are short, so people watch them all the way through. Because of this engagement, newsrooms want to tap into that value and integrate third-party Instagram videos and Vines. I see this come up both in discussions with news organizations and in the referral domains for Vine and Instagram embeds. In 2015, expect to see more Instagram videos and Vines across news sites. A European media company I met with mentioned a main area of concern being comments. The company stressed that if comments are actually successful, they will keep people on a page long after reading the article; social aggregators like Reddit and Hacker News are an extreme illustration of this. Sometimes the content is skipped all together in favor of the discussion. News sites see these discussions, and are enamored by that level of engagement. Knight, Mozilla, The Washington Post, and The New York Times revealed a comments engine initiative, the Coral Project, which further emphasizes the importance of figuring out online discussions on article sites. With this powerful collaboration, expect to see new features come out to advance comments within articles. In February, Upworthy came out with a post advocating for attention minutes over pageviews. This was huge — they went public on out how to find great videos and compel people to share them. While clickbait-y titles are important, people won’t share media if they aren’t inspired by it. By focusing on what people pay attention to, rather than just what they click on, Upworthy found what moved people. There was a panel on analytics and readership at ONA14 that focused on pageviews, but didn’t mention attention minutes. During the Q&A the lack of attention minutes was raised, and The Guardian revealed it is something they are working on and excited about. Over 2015, measures of attention minutes alongside pageviews will become the standard across media sites, and will surface more content you can’t help but share. 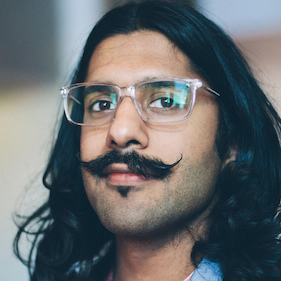 Kawandeep Virdee is an engineer and developer advocate at Embedly.